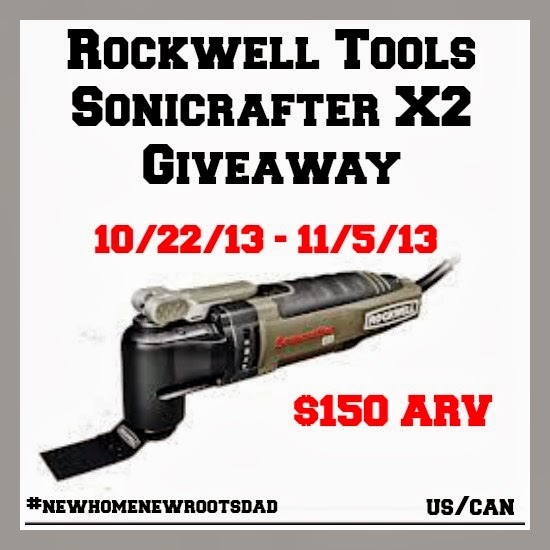 Rockwell Tools Review & #Giveaway: Day 2: New Home, New Roots - Just for Dad! We are so excited you joined us for Day 2 of this awesome event we are participating in this week! 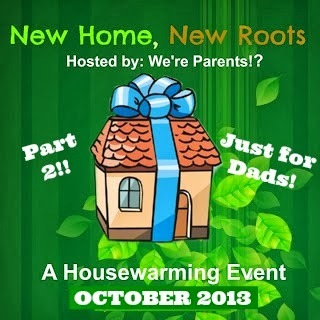 New Home, New Roots: Just for Dads, hosted by We're Parents is featuring some great reviews and giveaways for things DAD needs in his new home! We hope you check back in daily! 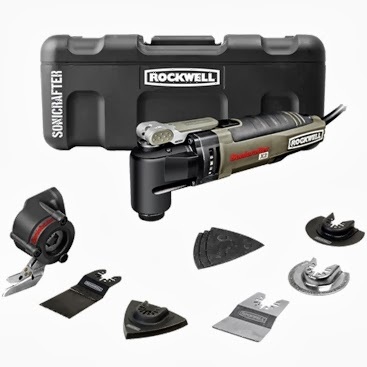 Rockwell offers the performance-minded-do-it-yourselfer and the price-conscious tradesman innovative, quality tools. Their goal is to create a line of pro-grade power tools that don't come with a hefty price tag, but still have the performance and power pros have come to expect. Andrew was beyond excited when Rockwell's Sonicrafter X2 arrived at the door! This multi-functioning tool is ultra-versatile and can be used for cutting, sawing, scraping, sanding, polishing, removing, and so much more. It also features a universal fit system allowing it to accept other brand's accessories! (This is amazing!) It's an incredible oscillating tool that all dads need in their new home. I don't know about the men in your life, but my husband loves a fun power tool! To be honest, Savy Daddy isn't really all that handy, but that doesn't mean he doesn't like to have these tools around the house for when projects come up. Since tools can quickly take up space and we don't use them regularly, it's important to us that a tool is versatile and multi-functional so that we have exactly what we need for any project but also don't have five separate tools instead of just one. I can honestly say this is a tool that we would definitely own! Want to win your own? Visit We're Parents!? to check out the review then enter to win your own Rockwell Sonicrafter X2 below! This tool is a must have for dad in his new home! The Giveaway will close late on the evening of November 5th. The winner will be chosen at random through Giveaway Tools. The winner will be announced both on Giveaway Tools form as well as notified by email and announced on We're Parents! ?’s Facebook. The winner will have their prize sent to them by Rockwell. We're Parents!? is not responsible for prize shipment. Must be 18 years and older. Facebook, Twitter, Pinterest, and Google are in no way affiliated with this giveaway. No Purchase Necessary. US and Canada Only. It's got some overlapping issues. I simply wanted to provide you with a quick heads up! Aside from that.